This lake is man made with a small dam on the southeast side of the lake and is only accessible to people who are members of the Shelley Lake Homeowners association (see Shelley Lake Home Owners Assoc. at http://shelleylake.org). Shelley Lake is 5-15' deep and is 6 acres in total surface area. This lake would be appropriate for kayaking and dinghy sailing. Directions/Maps: To get directions and view a map click on google.com/maps and type in Shelley Lake, Spokane County, WA. ACCESSIBILITY: PARKING... Parking along road, there are two access paths; PATHS/TRAILS... There are two paved path that lead from the road near the lake onto a bike/pedestrian paved path along the shoreline. If one travels on the path all the way to the north end of the lake the trail ends giving access to a small beach and small lawn area; RESTROOMS/FACILITIES… None; SENSORY... No sensory tactile markers for those with visual and other impairments. DOCKS/LAUNCHES/PLATFORMS… None. Launch off small beach on north end of lake; DIRECT WATER ACCESS… No access for wheeled mobility devices; TRANSFER SYSTEMS... None; CAMPING... No; O.T.H.E.R… Oddities/Barriers: Nothing unusual; Terrain: Level to about 5% grade; H2O/Water: Water normally murky. 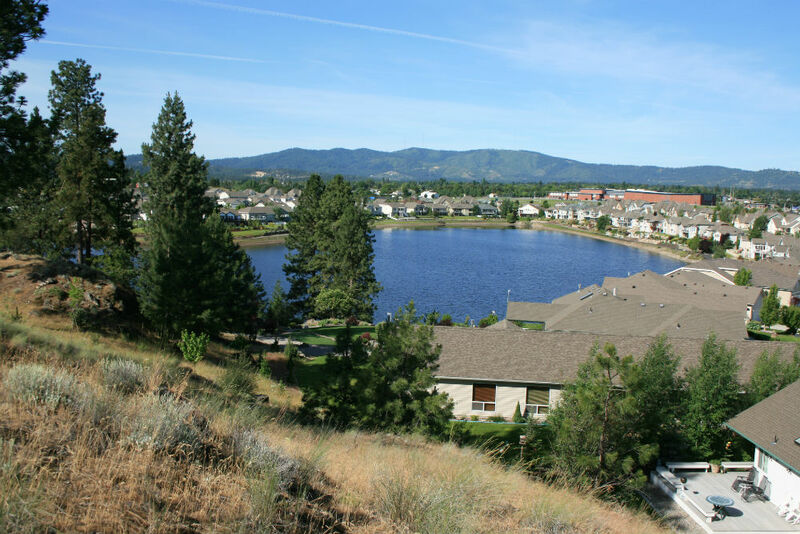 Water temperature in the summer can be around 60 to 70 degree; Environmental Conditions: High winds and hot temperatures in the summer; Resources: Food, drinks, and gas in city of Spokane Valley.